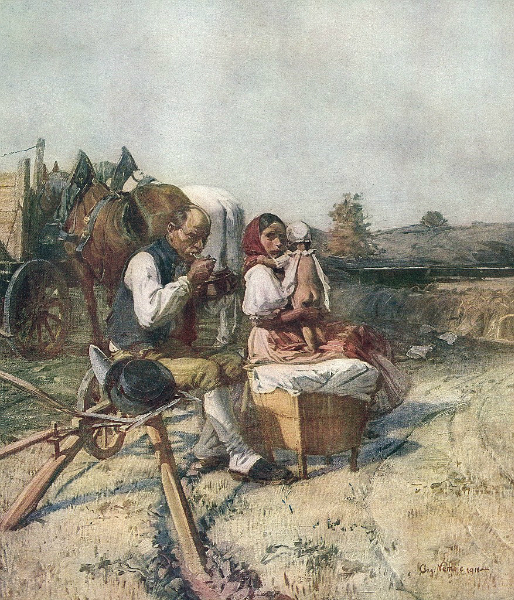 Professor Augustin Němejc, an academic painter, an important Czech regionalist and the author of the curtain of J. K. Tyl´s Theatre in Pilsen was born on the 15 March 1861 in Nepomuk in the family of Josef Němejc, a butcher and a townsman with the brewing right. 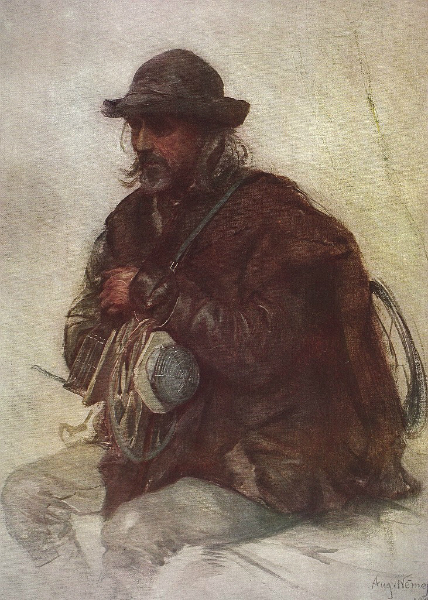 From 1875 he learned in Pilsen, he became a watchmaker, then he as a journeyman went away from home to acquire experience round Bohemia, Moravia as far as Vienna and Italy where he saw famous paintings in the galleries. He came back with conviction to become a painter. 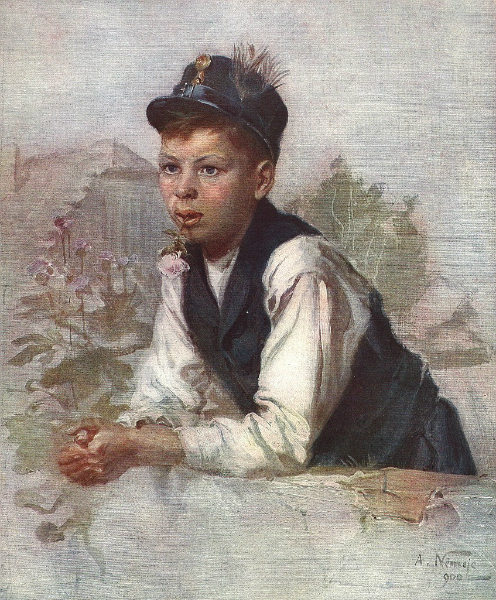 In 1890 he painted „Hopeless love“, the painting expressing socially critical author´s point of view to country at that time and representing the people´s costume from the part of Pilsen region as well. The picture was rewarded by the second prize on the Provincial jubilee exhibition in Prague in 1891 and Němejc was granted by a year scholarship to Paris where he met Vojtěch Hynais, the author of the curtain of the National Theatre. After one year he returned to Pilsen and till 1900 there was a range of paintings with a lot of types and characters of people and landscapes from Pilsen region, when he consistently studies the material that he resolved – the Pilsen people´s life. In 1900 Němejc was entrusted to make the main curtain for a new theatre in Pilsen. At the same time he worked on three big lunettes for a museum in Pilsen just being built. Němejc chose an idea how the Pilsen people welcome the art on the treshold of their theatre for the background. He did the study for the curtain in Pilsen, mostly according to people in Doudlevce, the curtain itself in painter´s workshop in the National Theatre in Prague, where he lived that time. 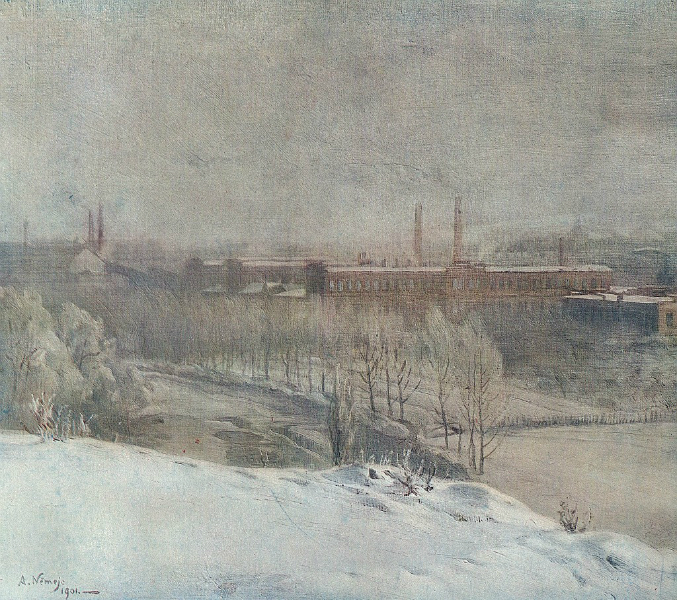 Prof. Skolka in his book named Augustin Němejc – the painter of Pilsen and Pilsen region reminds his exemplary ethical understanding of social life and he places him among the artists – great regionalists, such as persons of the same age and writers Jindřich Šimon Baar, Josef Holeček, Karel Klostermann, Mrštík brothers or musicians Karel Kovařovic and especially Leoš Janáček. Augustin Němejc died on the 16 August 1938 and he was buried to the grave of honour at the central cemetery in Pilsen. Němejc´s work impresses with its content, artistic and rich emotional strength, it is able to educate a person and it deeply fullfils a function of artistic learning about reality.